Children of John Ramsey Jr. He is buried in the National Park, perhaps on his former homestead. The gravesite can be reached by the Old Settlers Trail. 1.Rose "Rosie" Ramsey was born in 1859 in Sevier Co, TN. She died on 31 Jan 1872. Parents: John Ramsey Jr. and Theodocia "Docia" Baxter. She was married. Children were: John A. Ramsey. (1)John Anderson Ramsey was born on 31 Jan 1872/4 in Sevier Co, TN. He died on 3 May 1943. Parents: Rose "Rosie" Ramsey. He was married to Mary Jane Williams. Mary Jane Williams was born on 16 Mar 1880. She died on 22 Aug 1963. She was buried in McCarter-Williams Cem, Sevier Co, TN. 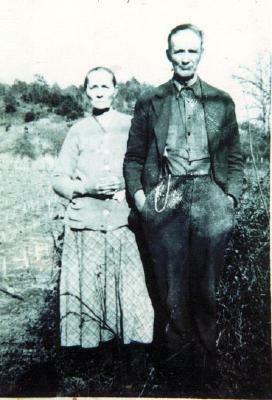 Parents: Joseph Milbourn Williams and Martha Jane Styles . She was married to James Horace McCarter on 21 Dec 1917 in Sevier Co, TN. Children were: Truman McCarter, Vivian McCarter. Della Ramsey was born on 8 Mar 1901. She died on 8 Aug 1936. She was buried in Green-Laws Cem, Cocke Co, TN. She was married to C.E. Leatherwood. 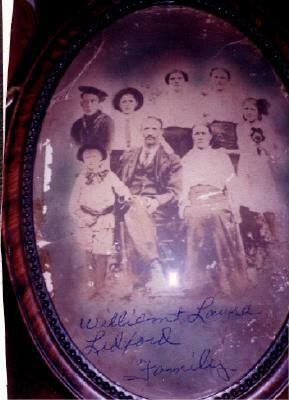 Children were: Abraham "Abe" Leatherwood, Lillian Leatherwood , Philip "Phil" Leatherwood, Ray Leatherwood, Ted Leatherwood, Aurine "Blondie" Leatherwood. Ola Bell Ramsey They lived in Virginia. She was married to John Lell. Children were: Carl Lell. Philip Ramsey was born in Dec 1905. He died in Dec 1905. Joseph R. Ramsey was born on 11 Nov 1912. He died on 26 Aug 1981. He was buried in McCarter-Williams Cem, Sevier Co, TN. Abe Carroll Ramsey was born on 7 Feb 1916. He died March 11 1919. Unsolved Disappearances in the Great Smoky Moutains by Juanitta Baldwin and Ester Grubb wrote a story of little Abe. (8)Clyda B. Ramsey. Clyda B. Ramsey was born on 20 Apr 1918. She died on 13 Mar 1939. She was married to Ora Spurgeon. Children were: Earl Ray Spurgeon, Genevieve Spurgeon, Geneva Spurgeon. 2. Jesse Holloway Ramsey was born on 25 Feb 1862 in Sevier Co, TN. He died on 2 Apr 1918 of dropsy of heart. He was buried in Lindsey Cem, Sevier Co, TN. Isabelle had a later marriage to Rev. James Lindsey. Parents: John Ramsey Jr. and Theodocia "Docia" Baxter. Minyard Ramsey was born on 13 Feb 1896. He died on 25 Oct 1977. Parents: Jesse Holloway Ramsey and Isabelle McCarter . He was married to Rachel "Ella" Ledford born 6 Dec. 1896 and died on 19 May 1975. They are buried together at Smoky Mountain Memory Gardens Cemetery in Pigeon Forge at 220 Emert Street 37863. Children were: Troy William Ramsey, Robert Lee Ramsey, Bonnie Matilda Ramsey, Jesse Ray Ramsey, Carl Dee Ramsey, Heddie Anna May Ramsey, Helen Ruby Ramsey, Raymond Garfield Ramsey, Claude Eugene Ramsey, Earl Ramsey, and Paul Junior Ramsey who died at 42 years of heart attack. Uncle Claude, who was the spitting imagine of Minyard, also died young of a heart attack.� The very sad part about his situation was that a couple of years earlier his wife, "Lib", age 37, was struck by an ambulance.� She was instantly killed, however, the driver of the ambulance was her own brother.� Claude remarried a couple of years later, had a son, and then he died of a heart attack. i. BETTIE JENE7 RAMSEY, b. December 20, 1947, Roswell, New Mexico. ii. LYNDA GAYLE RAMSEY, b. May 13, 1949.
iii. MICHAEL DUANE RAMSEY, b. February 28, 1960. Eli Ramsey was born on 4 Apr 1910 in Sevier Co, TN. He died on 8 Apr 1910. He was buried in Lindsey Cem, Sevier Co, TN. Elmer Ramsey Parents: Jesse Holloway Ramsey and Isabelle McCarter. He was married to Martha Violet Parton on 11 Jan 1934 in Sevier Co, TN. 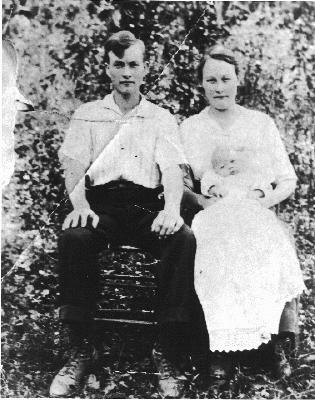 ��She was married to Haskell Cleophus "Hack" Ramsey on 2 Oct 1934 in Sevier Co, TN. Children were: Haskell Cleophus Ramsey Jr., Betty Ruth Ramsey, Jo Ann Ramsey, Clifford Eugene Ramsey, Carolyn Ramsey. 4.Jane Ramsey was born in 1866. Parents: John Ramsey Jr. and Theodocia "Docia" Baxter. 5.Mary C. "Polly" Ramsey was born in 1867 in Sevier Co, TN. Parents: John Ramsey Jr. and Theodocia "Docia" Baxter. She was married to Marion Beverage Branam on 23 Jun 1889 in Sevier Co, TN. Children were: Docia Emaline "Doshie" Branam, John Harrison Branam, Delila F. Branam, Minnie E. Branam, Claude Bryson Branam, Roscoe A. Branam, Howard Milburn Branam, Lonzo Branam, Flossie Branam. 6.Rhoda L. Ramsey was born in Nov 1868 in Sevier Co, TN. Parents: John Ramsey Jr. and Theodocia "Docia" Baxter. She was married to Joseph R. Valentine on 1 Dec 1895 in Sevier Co, TN. Children were: Ollie L. Valentine, William C. Valentine, and Dewey who died at 18 years old of influenza. 7.William Robert Ramsey was born in 17 April 1872 in Sevier Co, TN. He died 21 Apr.1924 at age 58 years and 4 days. William is buried at Huskey Cemetery. Parents: John Ramsey Jr. and Theodocia "Docia" Baxter. 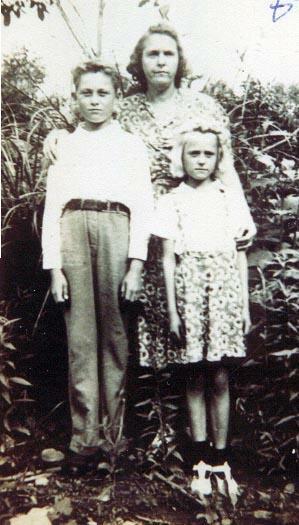 One known child: Claude Mckinley Ramsey born 11 Nov. 1896 Sevier, Tn and died 2 July 1962 in Kno+ville. One known grandchild: Ada Bell Ramsey born 6 Dec. 1923 and died 17 Jan. 1997. One known great grandchild: David Ingle of Kno+ville. 8.Doshia M. Ramsey was born Jan. 20 1874 in Sevier Co, TN. She died 19 May 1923 at age 50 years. Dotia is buried in the Huskey Cemetery. Parents: John Ramsey Jr. and Theodocia "Docia" Baxter. 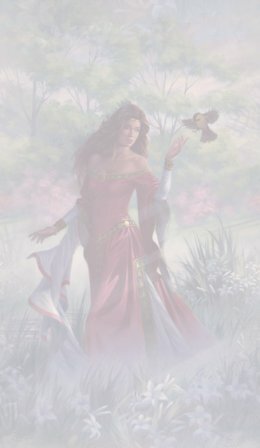 9.J. Lloyd Ramsey was born 25 March 1876 in Sevier Co, TN. Parents: John Ramsey Jr. and Theodocia "Docia" Baxter. 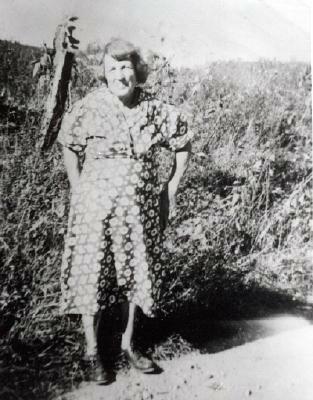 10.Ellen Ramsey was born in Nov 1879 in Sevier Co, TN. Parents: John Ramsey Jr. and Theodocia "Docia" Baxter. 11.Isaac Allen Ramsey was born in Oct. 21 1879 in Sevier Co, TN. Parents: John Ramsey Jr. and Theodocia "Docia" Baxter. 12.Anderson M. Ramsey born March 23 1882. Parents: John Ramsey Jr. and Theodocia "Docia" Baxter. 13.Claude B. Ramsey was born on 18 Feb 1885 in Sevier Co, TN. He died on 12 Nov 1930. He was buried in Huskey Cem, Sevier Co, TN. Parents: John Ramsey Jr. and Theodocia "Docia" Baxter. He was married to Emily McCarter on 18 Feb 1911 in Sevier Co, TN. Many of the Ramsey family members were in the barber business, as Allen Ramsey still is in Sevierville. Ray Jesse owned several barber shops in Virginia and his brother's Lee, Raymond and Claude worked for him. Later they either got their own shops or worked for someone else. My uncles Carl and Earl were also barbers in Tenn. Raymond has now moved back to Sevierville. I also had 3 cousins who worked their way through college each summer by coming up to Virginia and working as Barbers. That's 9 barbers!